The 1981 tastes remarkably velvety and supple for such a young Latour--not that this is a malevolent occurrence--because the excellence, complexity, and richness of the wine are still present. The color is dark ruby, the bouquet offers plenty of ripe cassis and spicy oak, and the flavor is generous, silky, moderately tannic, and long in the finish. 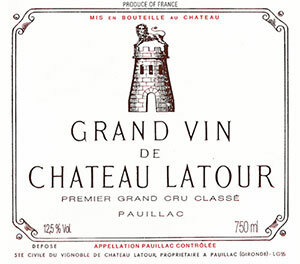 This Latour may turn out to be similar to the 1971.